All too often, new buildings are plopped down in the middle of the city with little regard for their location or context. When this happens on a recurring basis, cities around the world all start to become indistinguishable from one another. But when a building really considers its time, place and context, there is a uniqueness that buyers and residences truly value. 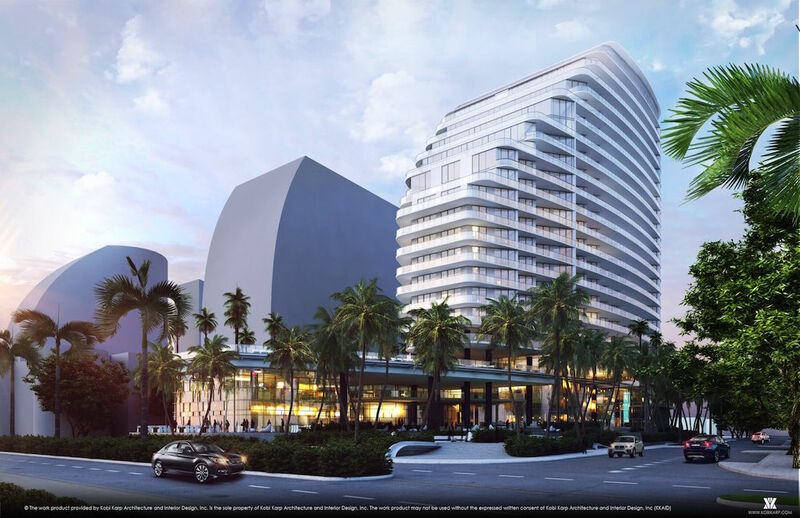 The following buildings have made concerted efforts to incorporate their context not only in their exterior architecture but also in the amenities they offer. 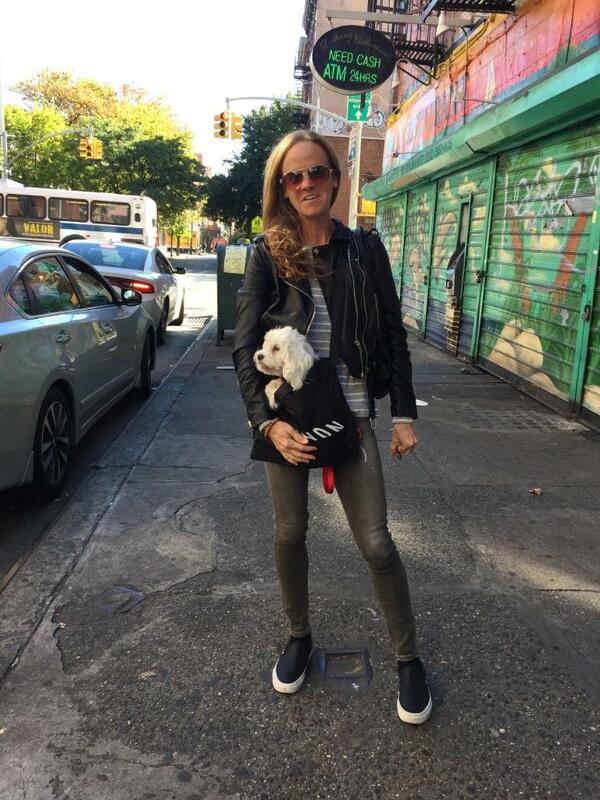 With the diversity of New York City neighborhoods, there is a lot of material to draw on. Situated in a prestigious enclave on the Upper East Side, 20 East End Avenue fully embraces the neighborhood’s old school elegance in every aspect of the building. In addition to the beautiful limestone exterior which seamlessly blends into its stately surrounds, the entire amenities program evokes an era when the Astors, Vanderbilts, and Rockefellers dominated Manhattan and defined luxury. Just as these historic families lived in massive city homes where they entertained with ease, 20 East End created an amenities program that allows its residents to host parties where guests can drift from room to room as if they were in Vincent and Brooke Astor’s nearby mansion (from the motor court to the library, billiard room, wine cellar, and on). All of that without even stepping foot into a private residence. 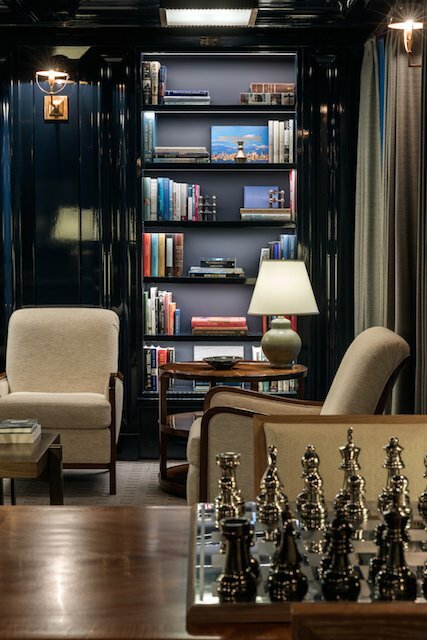 One of the many standout amenities is the stunning midnight blue lacquered library with the roaring fireplace and a Jeffrey Milstein aerial photo of the nearby Metropolitan Museum of Art above. Not only does the elegant library and the Milstein photo remind people of the building’s location and context but the developer, Ed Baquero, commissioned his world-renowned architect, Robert A.M. Stern, to curate a massive book collection as a love letter to New York. All the books are about New York’s culture from architecture to graffiti art, the best New York has to offer. Situated in the Upper East Side’s coveted Carnegie Hill neighborhood, 180 East 88th Street is a striking condominium being developed and designed by national real estate developer DDG. Residents have access to an extensive selection of amenities but one that stands out in terms of respecting its location is their interactive children’s playroom designed in partnership with the Children’s Museum of the Arts. The light-filled room features plenty of space to run, draw, and play, and best, a slide. 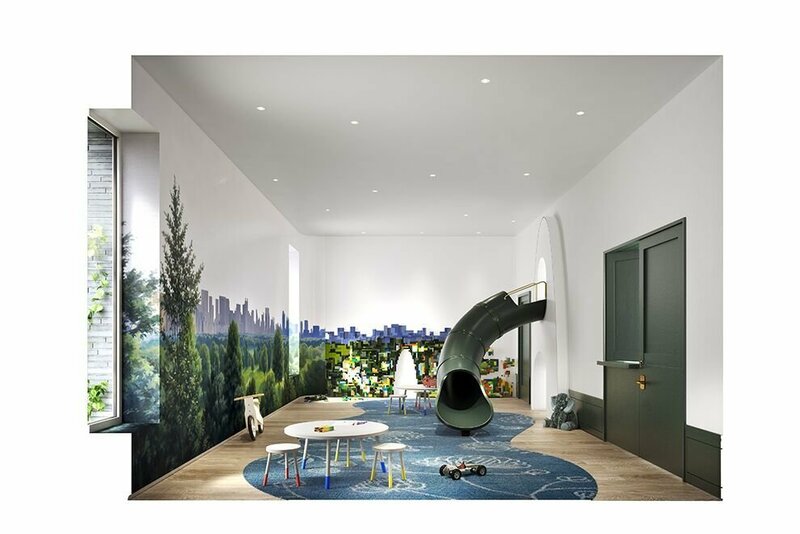 DDG was inspired by the building’s proximity to and magnificent views of Central Park for the design of the playroom. The developers collaborated with several artists that commonly work with the American Museum of Natural History to create a one-of-a-kind diorama that will be housed in the children’s playroom when the building is complete. Specifically designed to showcase the building’s stunning Central Park views in an unconventional and experiential way, the extraordinary mural depicts a unique, tree-top vista of Central Park that includes the City’s iconic skyline and continues onto the adjacent walls with a unique LEGO installation. 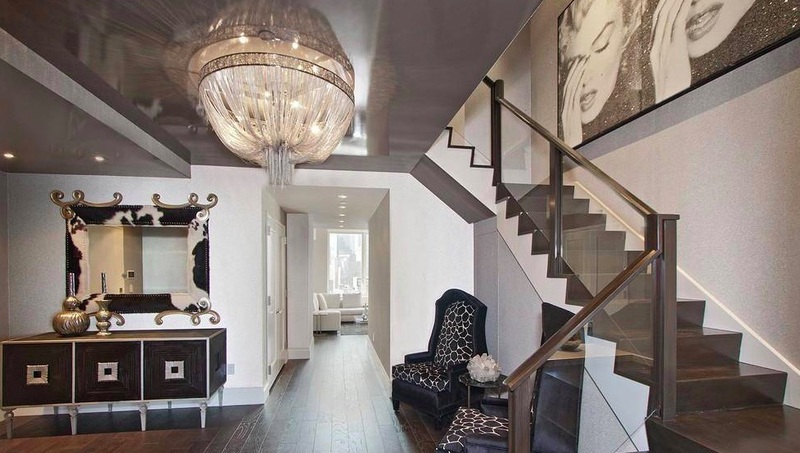 101 West 78th Street is an iconic, late 19th Century building that has been transformed into a modern and elegant Upper West Side condominium residence. Designed by Belgian born Emile Gruwe and completed in 1886, the building is located directly across the street from The American Museum of Natural History and just one block from Central Park. 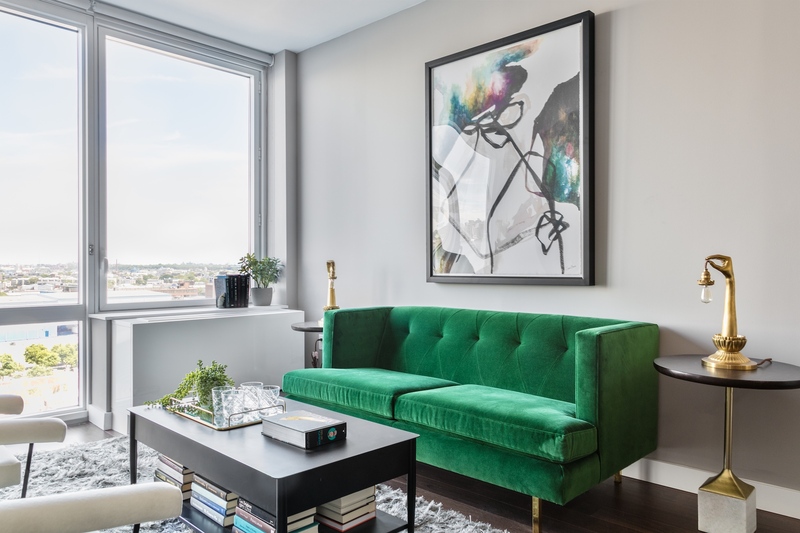 Stephen Sills, Architectural Digest AD 100 designer transformed the building’s interiors, including the impressive lobby, polished amenity spaces, and a collection of generously appointed two to five bedroom condominium residences. 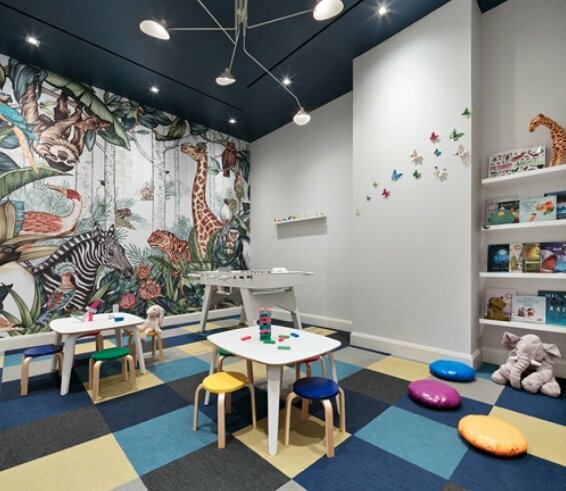 The building offers a children’s playroom with a wall mural inspired by the Natural History Museum. Tucked away in Manhattan’s West Chelsea neighborhood, Jardim is the first U.S. residential development by Isay Weinfeld, the world-renowned Brazilian architect and interior designer known for his hotels and high-end homes, including the Fasano Hotels and the recently opened reincarnation of New York’s iconic Four Seasons Restaurant. 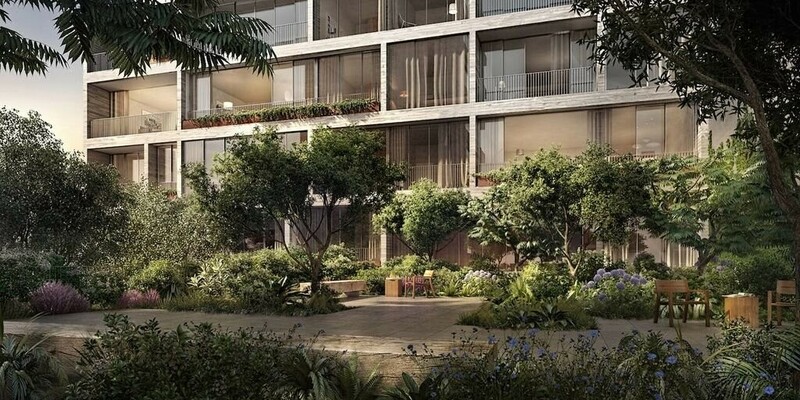 Taking cues from its High Line-adjacent location, this plant-filled property boasts an ultra-private urban park that envelops the two 11-story towers comprising the development. A canopy of native evergreens and fragrant flowering trees soars above clusters of indigenous shrubs, while intimate lounge areas are nestled within thickets of native ferns and grasses, along with layered plantings of long-blooming perennials. In addition to its signature gardens, Jardim’s amenities include a sky-lit swimming pool, fitness studios, steam rooms and saunas—plus a block-long private tunnel that serves as a paparazzi-proof porte-cochère. Fans of New York’s iconic Palace Hotel will see similarities between this iconic grand dame and The Kent’s Drawing Room which was designed to be a place to be a meeting place as well as a space to receive and entertain guests. Similar to the Palace Hotel’s gilded cove ceiling, the Drawing Room also highlights a luminous gold cove feature. 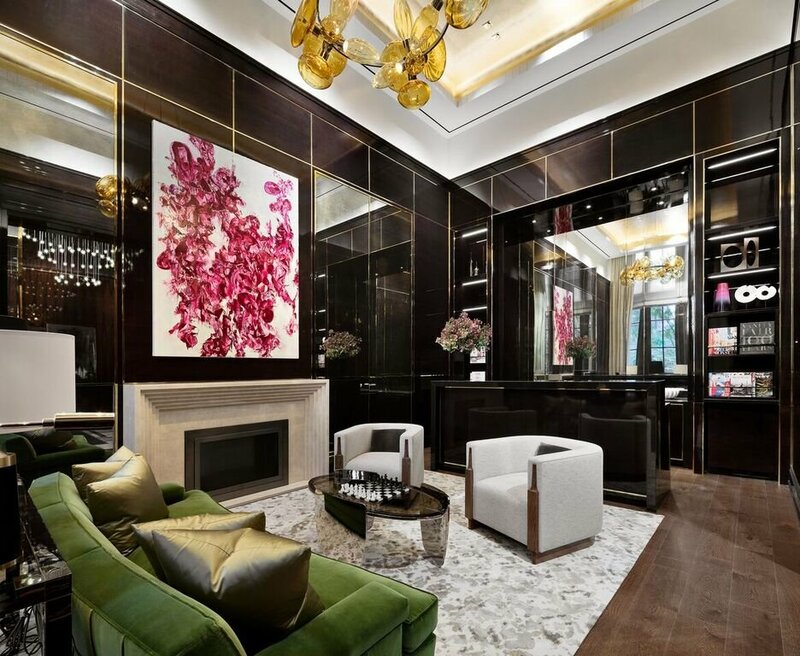 The bulbous, shimmering custom chandeliers that drop from the ceiling all complemented by lacquered, rich, wood panels and antique mirrors also draws parallels between the two entities. Brooklynites have long been climbing to greater heights at local climbing studio, Brooklyn Boulders. Now in downtown Brooklyn, residents at Brooklyn Point will be able to reach 35 foot altitudes within their own residential tower! Within the 40,000 square foot amenities package at Brooklyn Point is a 35-rock climbing wall. 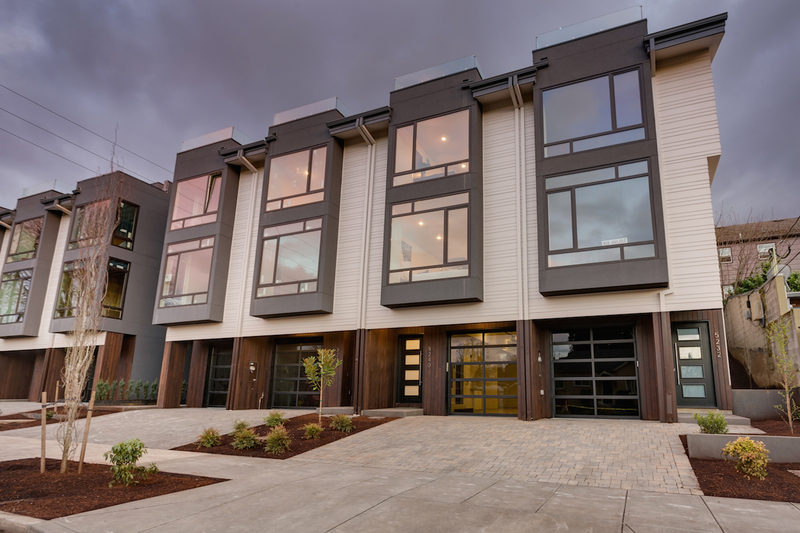 Overlooking double-height windows, the wall is as dramatic in design as it is challenging. 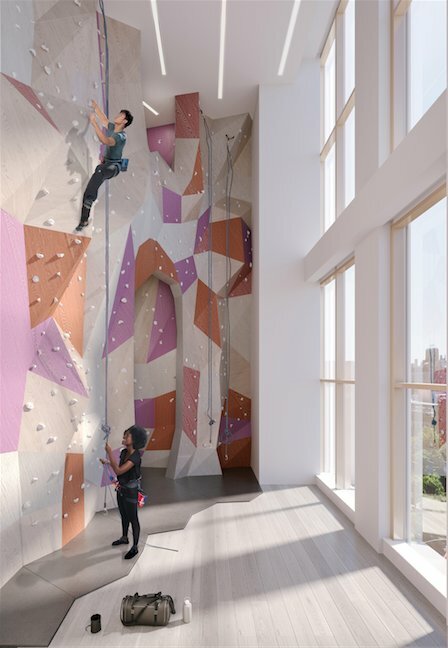 Extell Development Company, inspired by Brooklyn Boulders to build the wall, will be partnering with the neighborhood staple to activate the space and offer private climbing classes for residents.